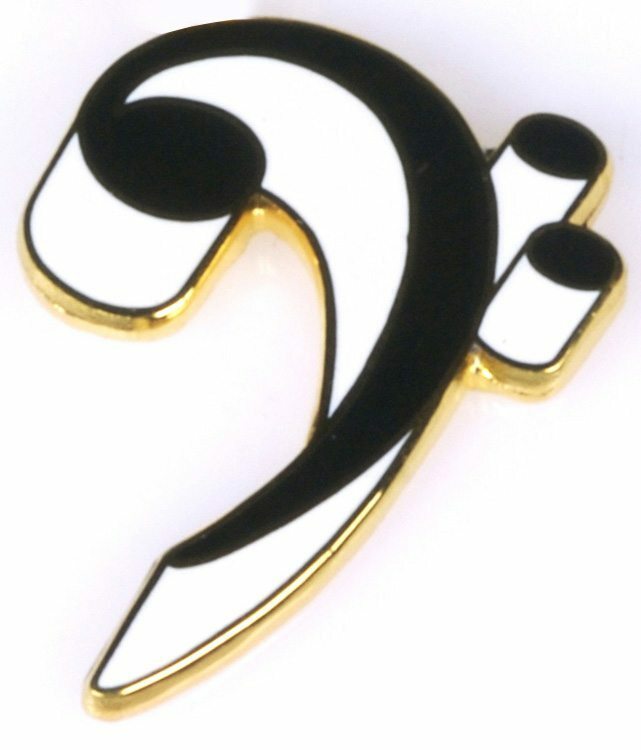 Originally a simple letter “F”, the Bass Clef was systematically used in 11th century liturgical manuscripts to indicate a lower register of pitch. Black with white shadow. Finished in 24k gold electroplate.